Home » Car Buying Paperwork » Required Paperwork When Buying a Car in Washington, D.C. Required Paperwork When Buying a Car in Washington, D.C. In Washington, D.C., when you buy a car, you will need some papers from the seller in order to register and title the car in your name. If you buy a car from a dealer, they will handle all the required paperwork on your behalf. However, if you buy a car from a private seller, you will have to handle all the required paperwork yourself with the Washington, D.C., Department of Motor Vehicles (DMV). You have to complete the required forms and certifications to transfer car ownership into your name. Continue reading this article to get more information about the paperwork required when buying a car in Washington, D.C. 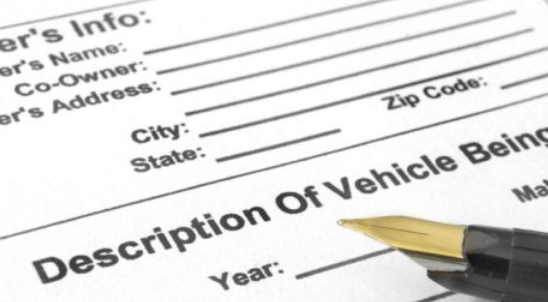 The paperwork required in this state differs slightly depending on whom you buy the car from. Has registered the car in your name. You will also need to provide the dealer with required car insurance to cover the car you have purchased. You obtain the vehicle title from the seller. Verify odometer reading on the back of the title. Get a bill of sale from the seller. You take the vehicle for inspection if the current inspection is expired. You get a car insurance to cover the car. The vehicle title (signed by you and seller). Your Washington, D.C. driver’s license or Identity Card. A copy of lien or lease agreement if the vehicle was financed. You register and title your newly purchased vehicle in the same day if the car is already inspected. If your car still needs an inspection, you can apply for a temporary title in order to legally drive the car. Don’t be misled into buying a car without a title certificate. If the title is missing, ask the seller to apply for a duplicate copy before selling the car. Certification of the odometer reading (on title, inspection sticker or dealer reassignment form). Your Washington, D.C. driver’s license. Washington, D.C. has a lemon law which covers only new cars.